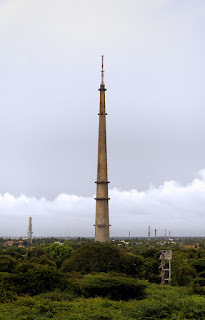 Highest TV Tower in India: Where is Highest/ Largest TV Tower in India or which is largest Tower in India is one of most frequently asked GK Question in various exams. Here is Solution for you curiosity. TV Towers fall under the engineering definition of a tower which is a tall man-made structure, always taller than it is wide, meant for regular access by humans. Towers are generally built to take advantage of their height and can stand alone or as part of a larger structure. Here are Top Six TV Towers in India. 1. 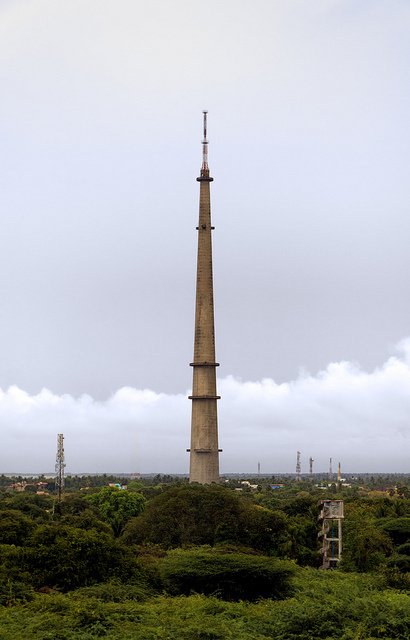 Rameswaram TV Tower (323 M): Rameswaram TV Tower Highest/ Largest/ Tallest tower that was built in 1995. Standing at 323 metres (1,060 ft), it is the tallest structure in India. The tower is used by Doordarshan for television broadcasting. The main structure is made of reinforced cement concrete and the mast is made of lattice steel. The Rameswaram TV Tower is situated in the town of Rameswaram,in the Ramanathapuram district of Tamil Nadu. 2. Fazilka TV Tower (304.8 M): Fazilka TV Tower, often nicknamed the Fazilka Eiffel Tower, is a 304.8 m (1,000 ft) tall Indian lattice tower at Fazilka, Punjab, India, which is used for FM-/TV-broadcasting in the whole of Punjab. The tower is currently the forty-fourth in the world and the second tallest man-made structure in India. It took 11 years and more than Rs 80 crore to erect it. 3. Ramgarh TV Tower (300 M, 985): Ramgarh, Jaisalmer TV Tower is one of the highest TV Tower in India with the Pinnacle height of 300 m (985 ft) at Jaisalmer. Jaisalmer TV Tower is located at Ramgarh in famous desert city Jaisalmer, Rajasthan. 4. Mumbai Television Tower (300 M): Mumbai Television Tower is the television tower owned by Doordarshan, the state-broadcaster located in the city of Mumbai in India. It stands at 300 metres (985 feet) and is the fourth tallest man-made structure in the Indian subcontinent. The red and white tower is an open latticework structure. The tower, located at Worli. 5. Samatra TV Tower (300 M): Samatra TV Tower is situated near to Bhuj city in the Kutch district of Great Gujarat. Samatra TV Tower is a 300 m (980 ft) tall structure user for television and radio broadcasting around the city.